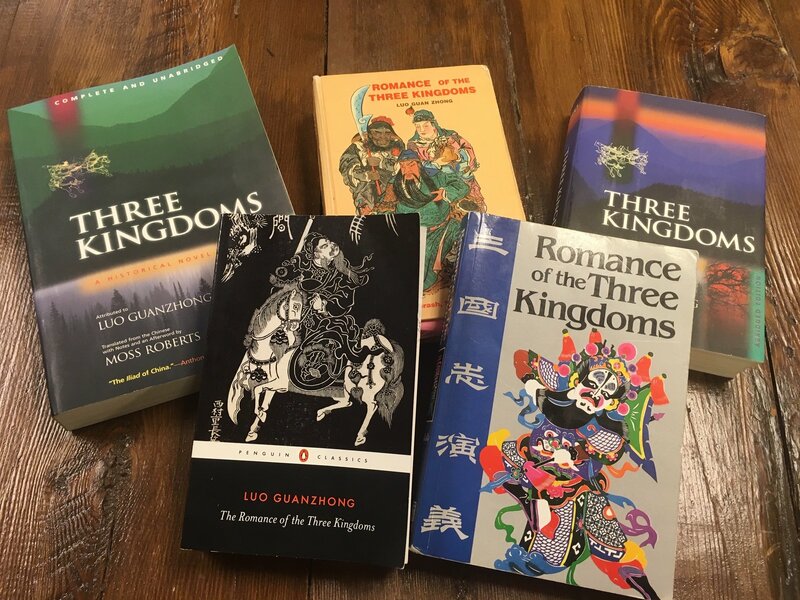 Which translation of Romance of the Three Kingdoms should I read? Romance of the Three Kingdoms, the 14th-century historical epic, is one of the most widely read works in China. For people who cannot read the original Chinese text, several English translations are available. Here is a guide to your options. Attributed to Luo Guanzhong, Romance of the Three Kingdoms can be best described as a historical novel. It tells the story of the fall of the Han Dynasty in the latter decades of the second century AD, as well as the struggle between the Wei, Shu and Wu kingdoms in the third century. This period of Chinese history is very popular, with stories of courageous warriors and cunning leaders. Readers of Romance of the Three Kingdoms can find it quite captivating. English readers now have a few options when it comes to reading this work. The oldest translation was by Charles Henry Brewitt-Taylor in 1925. Now out of copyright, the work has been reprinted several times as a two-volume set, usually in the exact same version of the original. This is unfortunate, as readers will notice two immediate problems: first, the text has many typos, including misspellings of words like ‘the’; second, the names and places are translated using the Wade–Giles system, which was a popular version for adapting Mandarin to English in the late 19th and early 20th centuries, but is no longer widely used. In the Brewitt-Taylor translation names such as Cao Cao and Zhuge Liang are spelt Ts’ao Ts’ao as Chuko Liang. It was not until 1991 that a new translation of Romance of the Three Kingdoms was made. This was done by Moss Roberts, a Professor of Chinese at New York University. Readers can purchase either a two-volume set that contains the full work, or a one volume abridged edition that omits over a couple dozen chapters. This is the most academic version of the English translations, and comes with about a hundred pages of endnotes as well as maps and a long essay on the text by Roberts. The latest published translation has been done in 2018 by Martin Palmer, and is part of the Penguin Classics series. This is also an abridged version, with Palmer explaining that he included only about a third of the text (the book still runs to 617 pages). Unlike Roberts’ abridgement, this one does include at least portions from each chapter, so readers can follow the entire story without jumps in the narrative. It should also be noted that this is the least expensive version. To give you a better idea of each of these translations, we have include a section from one of the more famous episodes of Romance of the Three Kingdoms: In Chapter 4 Cao Cao has fled from the capital, and was joined by an official named Chen Gong. Together they stop at the home of Cao Cao’s uncle, hoping to find refuge there. The uncle, Lu Boshe, says he is going to the market to get some food, but the other two men overhear his family members planning to kill something. Believing they are about to be murdered, Cao Cao and Chen Gong attack first, and kill Lu Boshe’s family. Only afterwards they realize that the family was going to kill a pig as part of a feast. They at once mounted and rode away. Soon they met their host coming home and over the saddle in front of him they saw two vessels of wine. In his hands he carried fruits and vegetables. “Why are you going, Sirs?” he called to them. “Accused people dare not linger,” says Ts’ao. Ts’ao Ts’ao paid no heed. Urging his horse forward he suddenly drew his sword and rode after Lu. Lu turned and looked back and Ts’ao at the same instant cut him down. “To kill deliberately is very wrong,” said Ch’en Kung. “I would rather betray the world then let the world betray me,” was the reply. The two men hurried from the farm, but before they had ridden half a mile they met their hose on his donkey with two jars of wine suspended from the pommel and fruit and vegetables hanging from one hand. “Dear nephew and honorable sir,” he cried, “why are leaving so suddenly?” “Marked men can’t remain anywhere for long,” answered Cao Cao. “But I told my family to slaughter a pig for your dinner,” Lu Boshe said earnestly. “Don’t begrudge us the night, nephew, nor you, good sir. Turn back, I pray.” But Cao spurred his horse on. Then he turned and dashed back, his sword drawn, calling to Lu Boshe, “Who’s coming over there?” As Boshe looked away Cao Cao cut him down, and he fell from his donkey. Chen Gong was astounded, “What happened at the farm was a mistake – but why this?” “Had he gotten home and seen them he would never have let it lay. He’d have brought a mob after us and we would’ve been done for.” “But you murdered him knowing he was innocent – a great wrong,” Chen Gong asserted. “Better to wrong the world than have it wrong me!” Cao Cao retorted. Chen Gong said nothing. Distraught, they flee from the house and have only gone about half a mile when they meet their host, Lu Boshe, riding back from his expedition to the village to buy wine. Surprised to see his guests already leaving, he implores them to stay, saying he has ordered a pig to be slaughtered to feed them, and even if hunted men cannot rest long anywhere, they would be safe tonight at least. But Cao Cao brushes past, not saying a word, while the astonished man calls out to him to turn back. Suddenly Cao Cao does exactly that. He turns back, draws his sword and before the terrified old man can say a word, Cao Cao cuts him down. He falls dead from his mount. Chen Gong is horrified. “What happened back at the house was a terrible accident, but this – this cold blooded murder. Why, why?” he asks. “But to murder an innocent man is wrong,” Chen Gong remonstrates. “I would rather defeat the world than have the world defeat me!” Cao Cao snarls back. Chen Gong says nothing but broods upon what has happened. These texts are available on Amazon.com – keep in mind that the full versions of both the Charles Henry Brewitt-Taylor and Moss Roberts translations come in two volumes. There are also a few online translations that are freely available. The University of Adelaide has one based on the Brewitt-Taylor version, but the translation has been modernized. Wikisource also has a translation, although this so far only covers the first fifteen chapters. Top Image: Various translations of Romance of the Three Kingdoms in print.